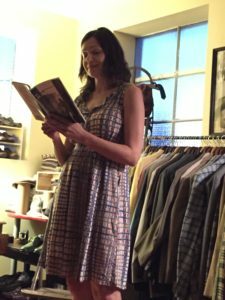 Halina Duraj (The Family Cannon, Augury Books, 2014) read at the Federal Dust Reading Series on August 1st. 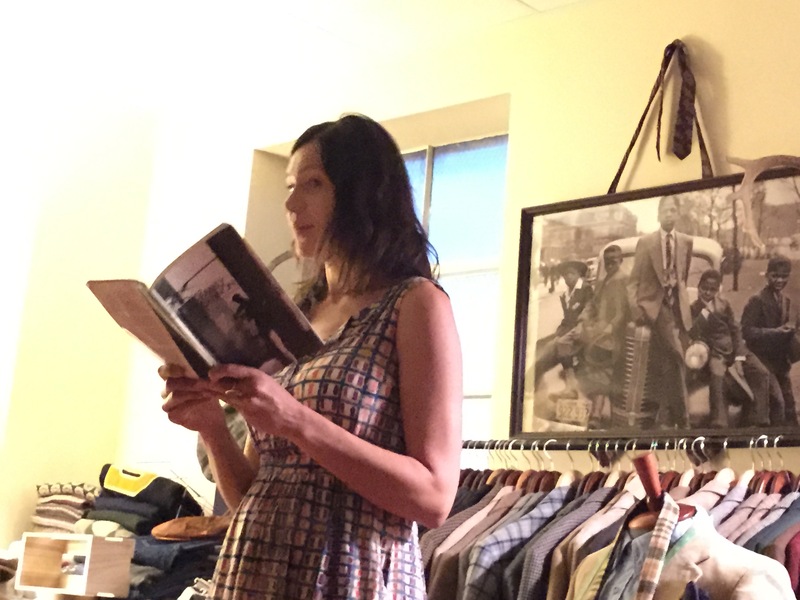 The reading took place at Litmore in Baltimore, Maryland. 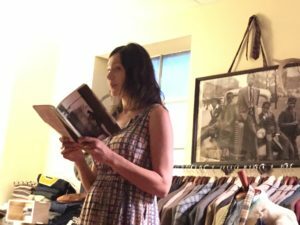 Litmore aims to provide a space for writers, readers and audiences to come together for workshops, readings, and support. The space provides daily and monthly writing studios, houses a free access community poetry library, and also sells vintage clothes (as pictured!). Authors featured during this event included Eric Nelson, Alicia Puglionesi, and Michael B. Tager. Thanks to poet Matthew Zingg for putting together the series! 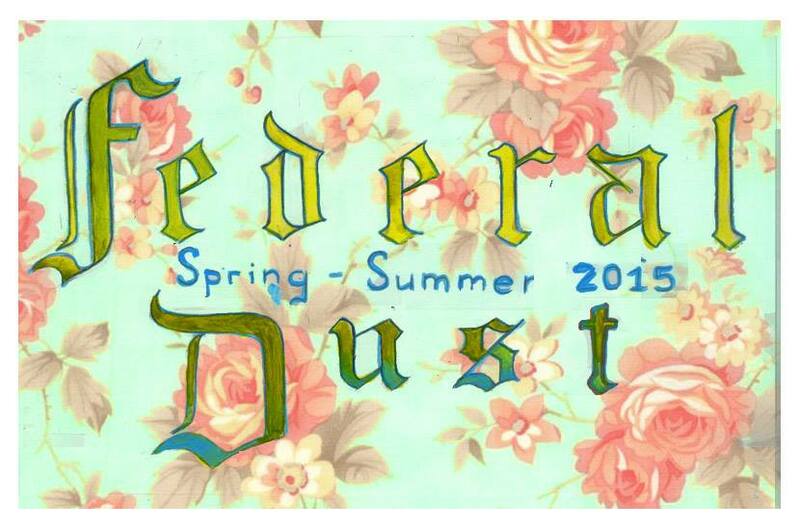 For more details, check out the Federal Dust site.